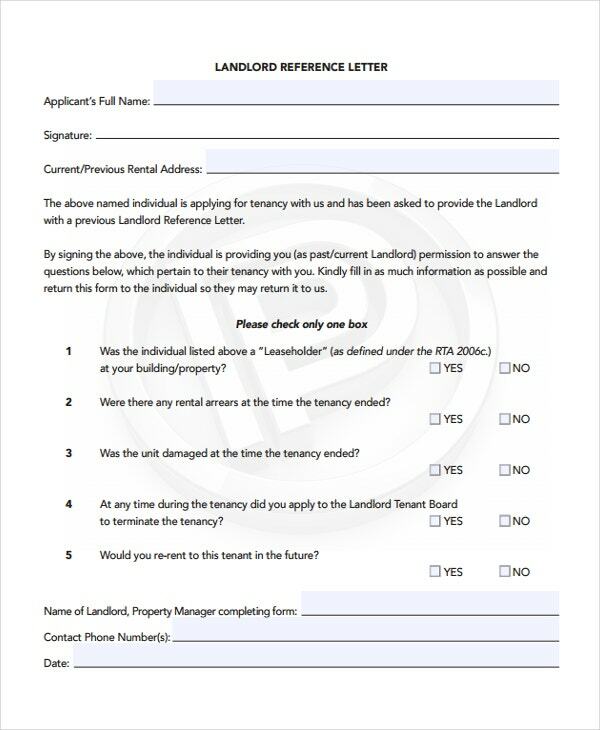 Rental reference letter should ideally have an explicit mention of the previous rental agreements that the prospective tenant has stayed in, the tenure of stay and his behavior pattern and reliability during the stay. This includes the regularity of payment of rents, the social traits exhibited by him and his behavior towards his neighbor. You may also see Job Reference Letter Templates. The hygiene and cleanliness exhibited by him and so on. 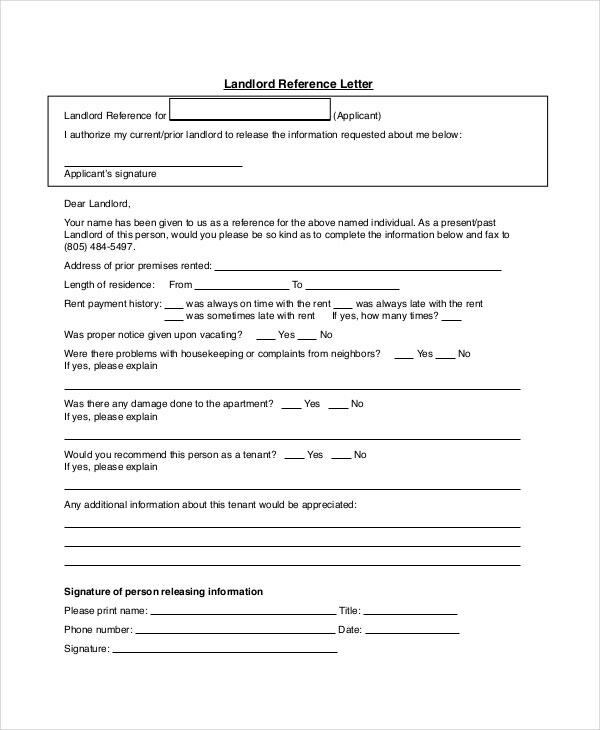 These reference letters are created in the form of Microsoft Word or in PDF format countersigned by the previous landlords certifying the ingenuity of the candidate as a reliable person to whom the apartment can be rented out. When you want to take rental house, there are various eligibility criteria to be fulfilled. At the time of issuing you house for rental, landlord may want to find about you through any reference. In that time, you are supposed to ask your friend a reference letter. A friend will know about your entire qualities. As a friend, you have to write about qualities in positive way. In that time, you should also have the general format of letter in your mind and so you can use the templates available to write a letter. You may also see College Reference Letter Templates. 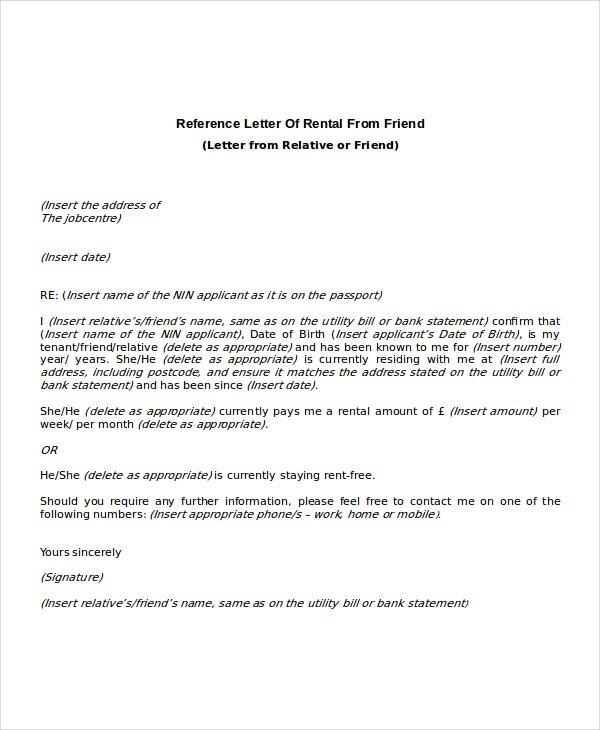 When you want to get a rental house, you may also get a reference letter from employer. As an employer, you will know about the qualities of a person in work environment. You can write about such qualities in the letter like discipline maintainer, silence keeper and etc. 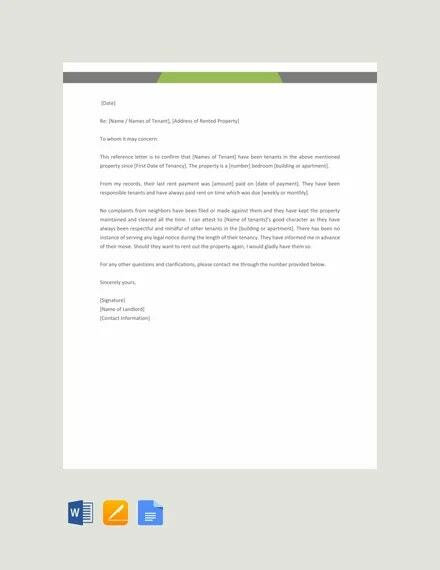 When the reference letter is going to help your employee to get rental house, you should write this letter in the basic format. You should include all positive qualities in such a way that, he should get the rental house as quick. 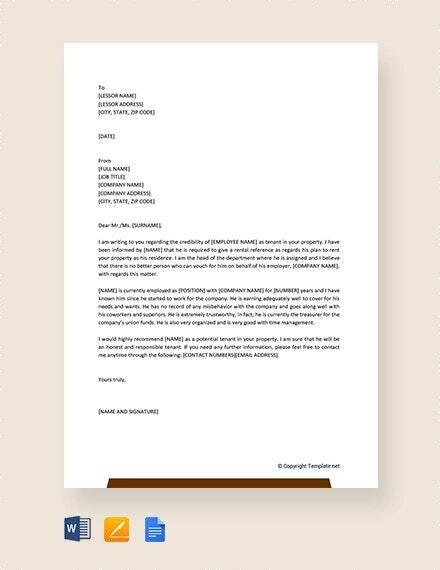 When you are asked to write a reference letter, you should determine all positive qualities of a person whom approached you and then write a letter as per those. The reference letter should contain all positive qualities such as well house keeper, no problem creator and silent maintainer. When you are supposed to write letter, you can download the templates and make use of them. There are various templates available. You can download the template and make small changes to create the letter. There are various uses with these templates. 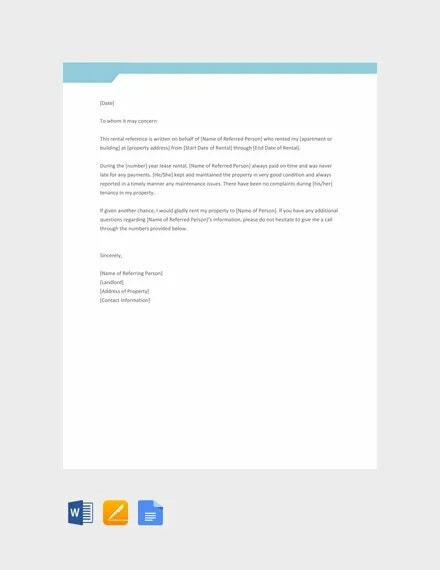 When there is a time to write a reference letter, you should download these templates and then make use of them through small changes. With these templates, if you have found the best letter, it is more enough to replace the names alone. 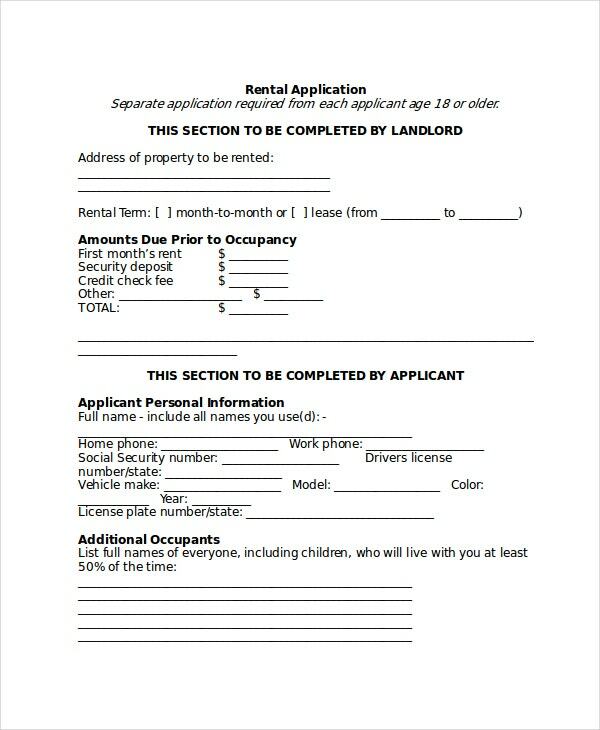 These templates are created to help people who want to write a letter for people who want to get the rental house. When you are supposed to write a letter for rental, you should include qualities related to the housing. You can write as either a friend or neighbor or employer or etc. 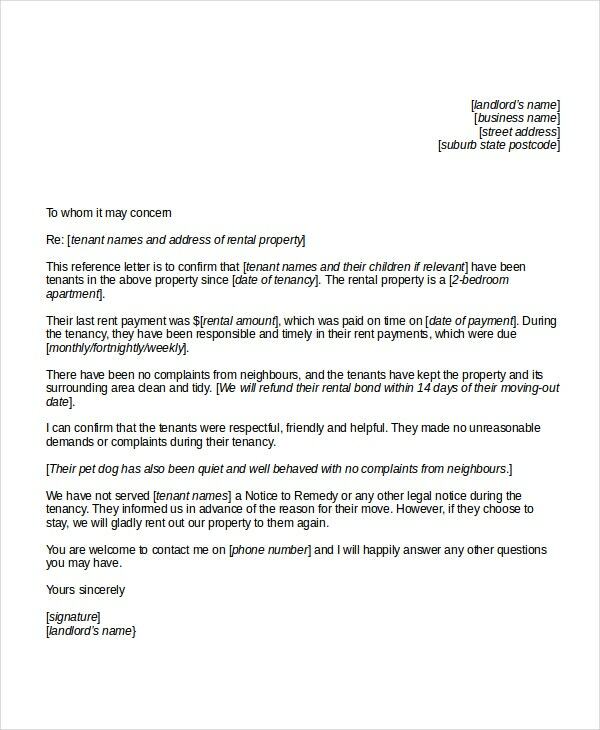 You may also see Landlord Reference Letter Templates. The target audience is also said to be purpose of these templates. When a person is asked to write a letter for rental house, you should determine the basic qualities of person on which the rental will be offered as soon as possible. As a referrer, you can include their important positive aspects. As you include their positive aspects, they will be given with the rental house. These templates are available for various purposes. Purposes define the roles of the reference letter writer as whether you are writing as an employer or writing as a friend or etc. Your work is to just change a small and to use it. You may also see Bank Reference Letter Templates. These templates have various uses. 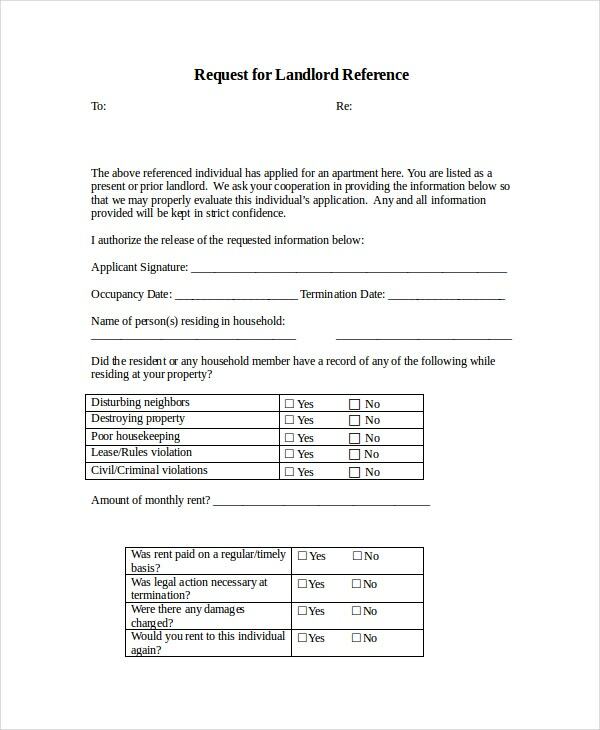 When you want to write a reference letter to help the person who immediately need the rental house, you should use these templates. All formats are available and you can download as per your purpose and then use it. This letter includes the positive qualities like regular person, disciplined person and etc. This letter will be usually written by someone for someone based on their relationships. In order to write this letter, you can relate to the person in anyways like neighbor or etc. Just download and use it. 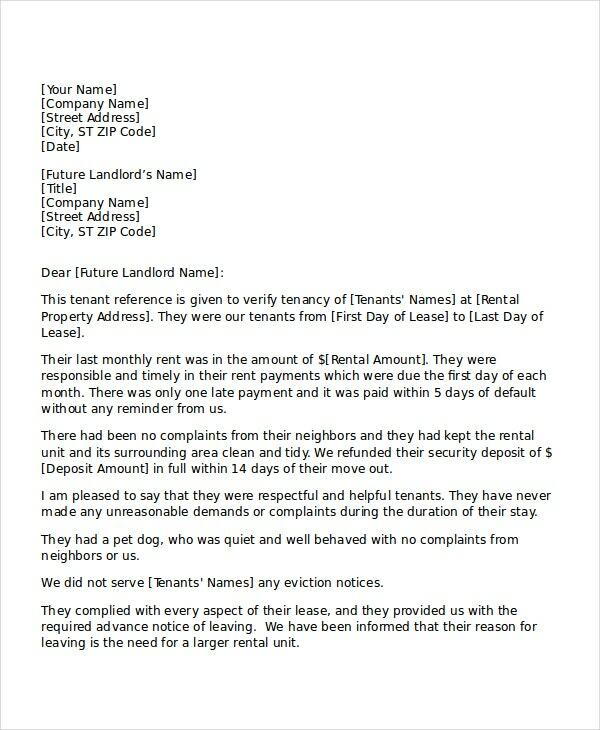 The reference letter for rental house is concluded to be very useful when a person want to help people who need rental house immediately. When you are asked to write a reference help for your friend or your employer, you should determine about their basic qualities and then write all positives. You may also see Character Reference Letter Templates. 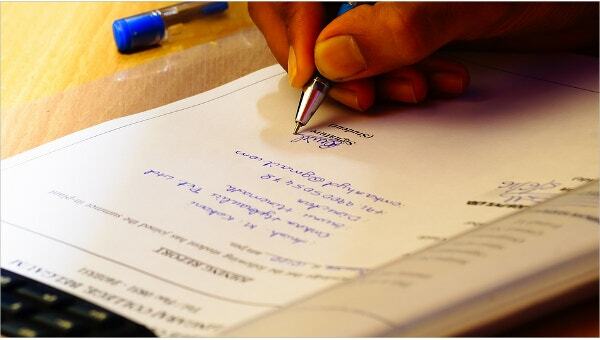 The things which you have written have greater impact on their rental house purchase. 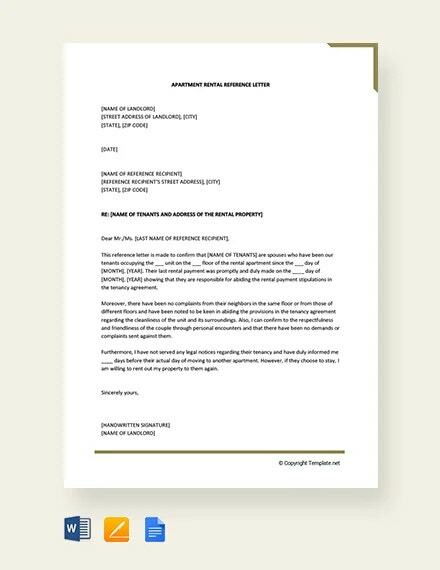 When you take help of the available templates, you can write the best letter. 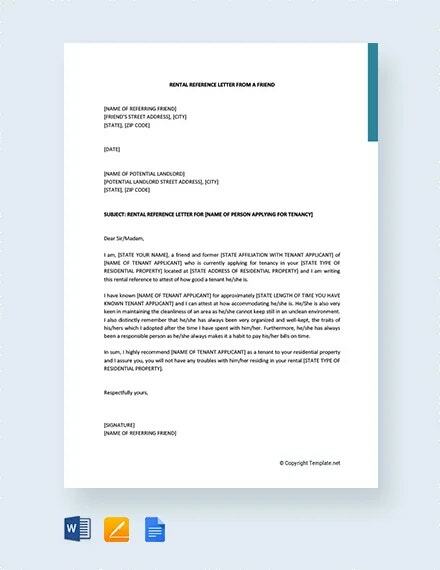 Therefore, you can download these templates and make use of them so that you will write the best reference letter for rental housing.